Ken Parker built his first archtop guitar in 1974. This was long before he rose to fame with his well known electric guitar; The Parker Fly. In regard to the origin of the Parker Fly, Parker, in his own words states, "Larry Fishman and I met in 1984 and began a playful but productive design partnership. We shared techniques and technologies, and tried to envision some new tools for guitar players. 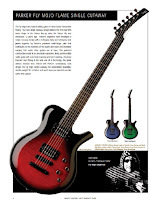 Long story short, we founded Parker Guitars in 1991 in order to realize the Fly Guitar project. We created tools to build the guitars, and established our factory in Massachusetts, where we produced about 30,000 guitars and basses." 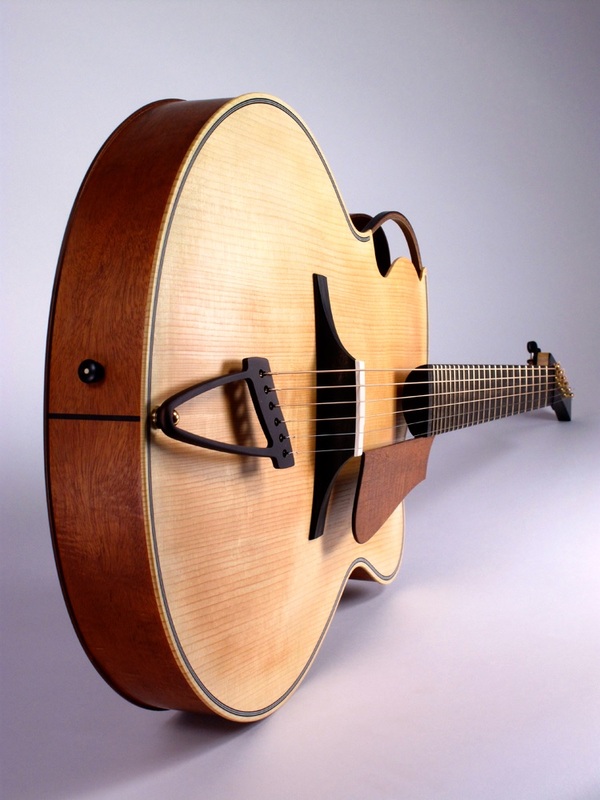 In doing so, Ken created a modern ultra-light guitar, and made use of some unusual materials. Official sales of the Parker Fly began around 1993. The Parker Fly was made from a variety of woods, including poplar, basswood, and spruce. Once the unique shape of the body and neck were carved the instrument was coated with a composite of resin and carbon glass to reinforce the structure. The fretboard was also made of a composite material and the frets were made of stainless steel. 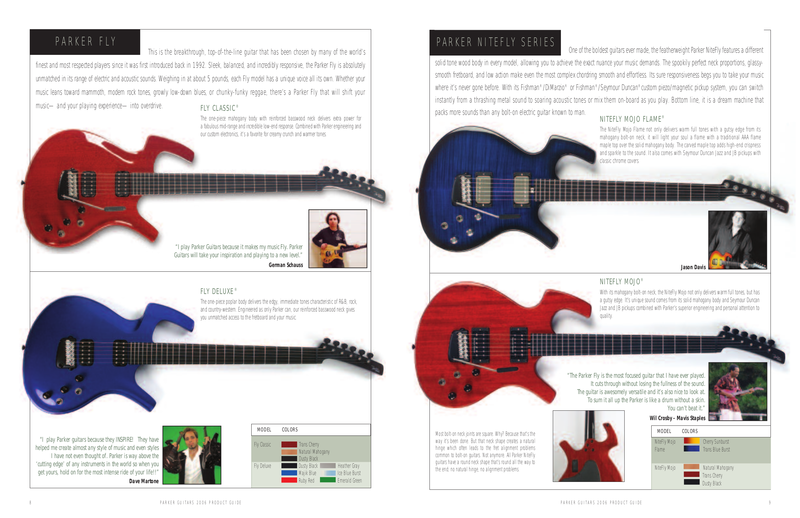 The design process has given Parker Fly guitars the reputation of having the “fastest neck in the business”. Due to their durability, these materials will pretty much last for the lifetime of the owner. The electronics used in the instruments were very unique as well. The guitar used either coil split humbucking pickups or single coil pickups. Both had active circuitry. The Fly also had a piezo pickup for acoustic sounds. The structure of the neck was unique since it used multiple finger joints for stability. The guitars vibrato was unique as well. 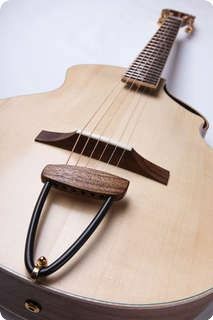 Instead of using wound springs, The Fly utilizes a shaped flat steel spring that returns the guitar to pitch. It could be set for bend down down mode, balanced mode (full floating), or fixed mode. The tension is controlled by a balance wheel. (The guitars manual cautions not to set it too tight as this could cause the spring to break). The vibrato was engineered in a way to bring the strings back to pitch. 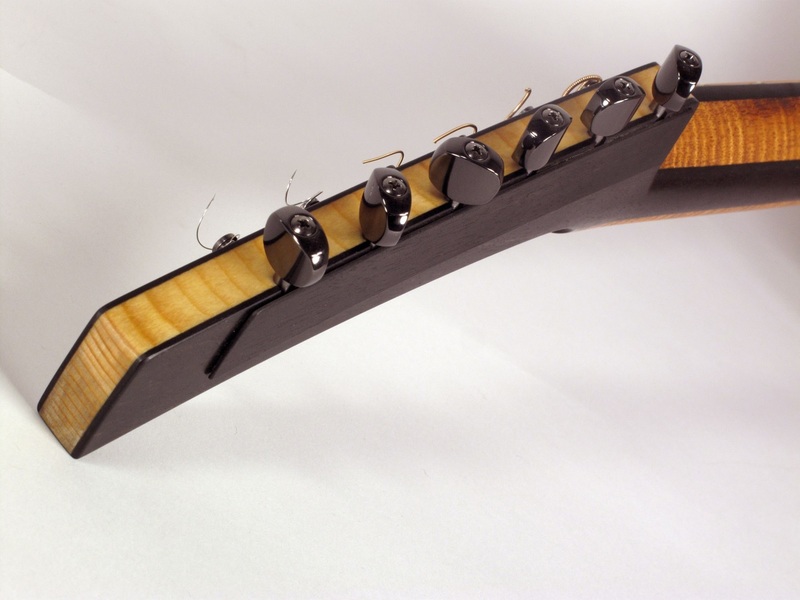 Sperzel locking tuners aided in maintaining the instruments pitch and eliminated the need for string trees. Ken Parker and Larry Fisher set up their business and manufacturing facility in Wilmington, Massachusetts. 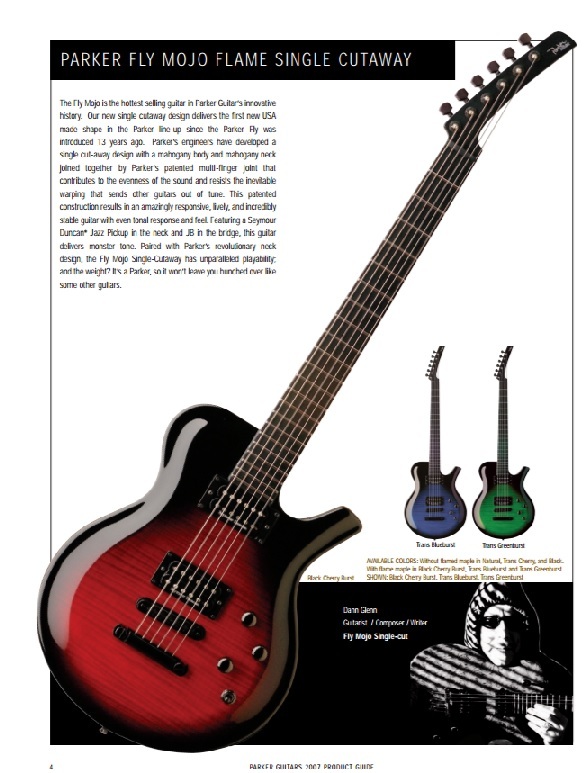 In October 2002, Parker began offering the Fly Bass guitar in both 4 and 5 string versions. These basses were well received for their ease of use. They came with both magnetic and piezo pickup and the player could blend the two sounds together. The basses were also manufactured in the Massachusetts factory. In 2003 Ken Parker sold his stake in the company to the U.S. Music Corporation. 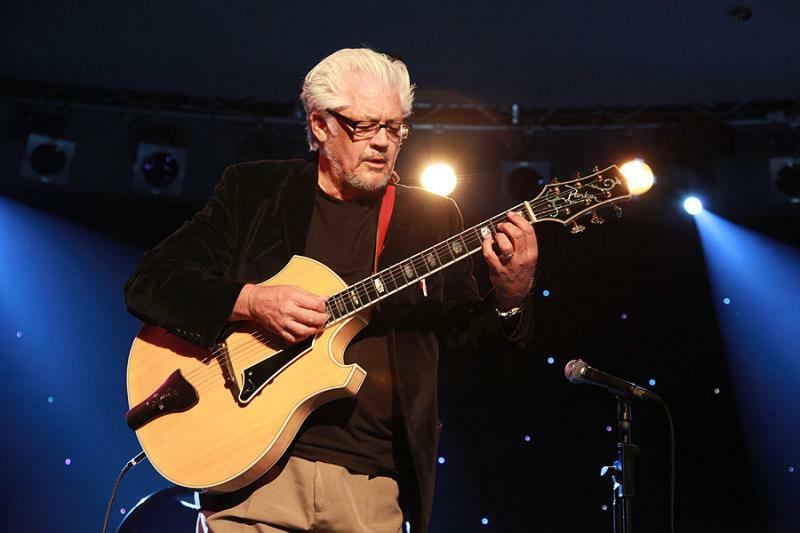 As he states, "In 2003, U.S. Music purchased Parker Guitars, and moved the production facilities to the greater Chicago area. 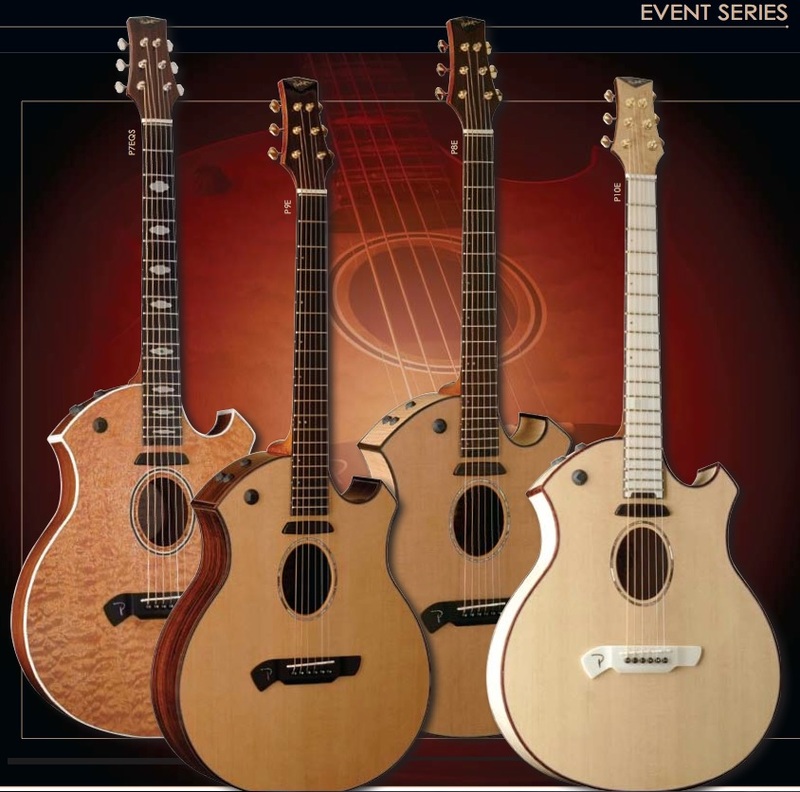 Since that time, all of the new models produced by Parker Guitars, including any acoustic or semi hollow instruments, have been designed solely by Parker Guitars' design engineers. I have had no involvement with any of these new design projects. Creating the Parker Fly, Nightfly, and the Fly Bass was a labor of love. I had a lot of fun designing them and then devising and building the production tooling to make them. These instruments have worn well, and now the product line has been expanded by the new owners." 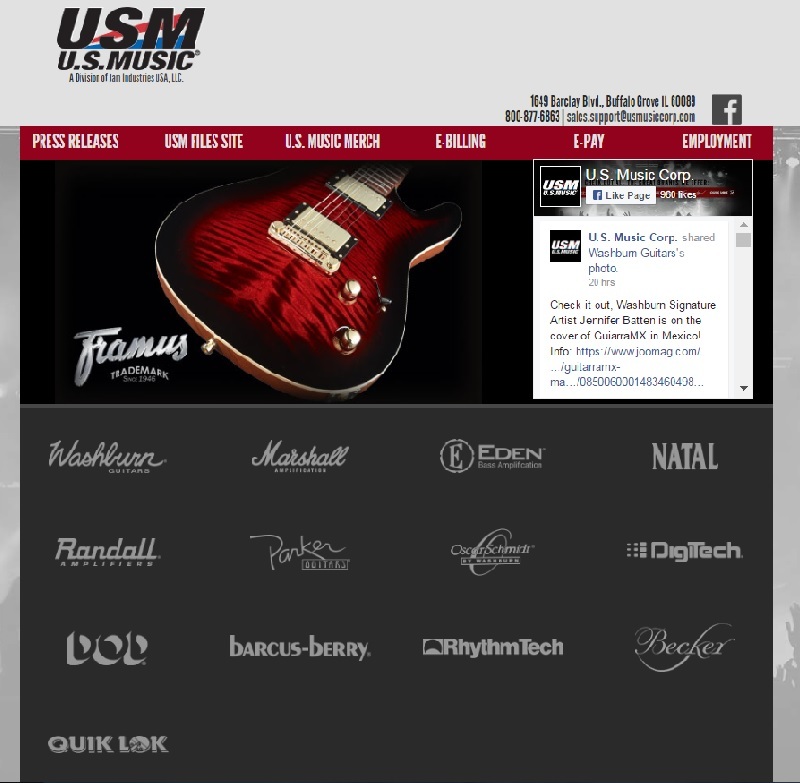 The U.S. Music Corporation is a distributor of multiple products, including Parker guitars. 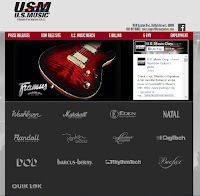 This organization manufactured the guitars from their Illinois based factory. They developed the line and changed up a few things. 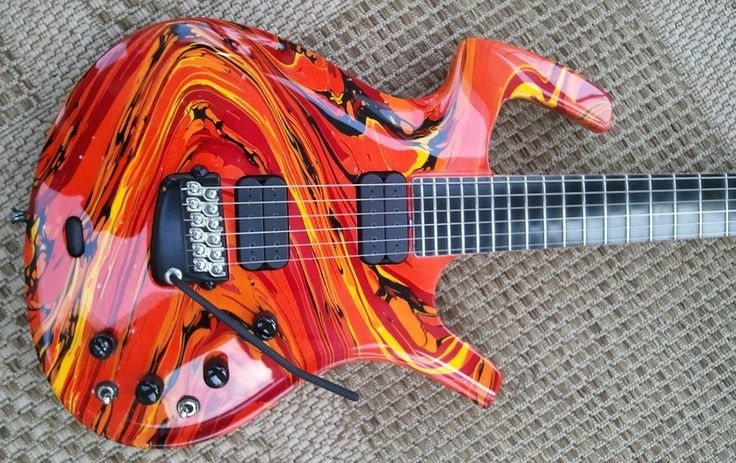 U.S. Music took a different approach to Parker Guitars. Some Parker guitars were no longer made with the original composite finish, but were now made of wooden bodies. To be fair, by 2001, Ken Parker had offered some models with wooden bodies. 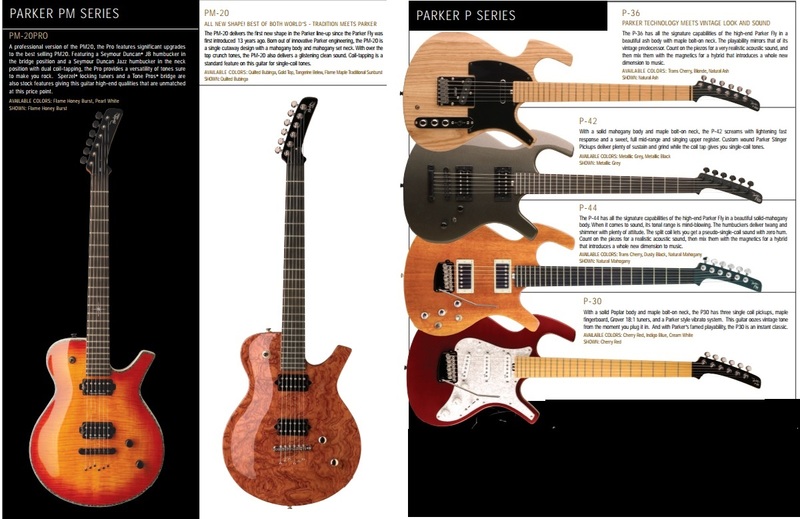 Also some of the new models appeared to be Parker guitars that had morphed with other popular guitar designs. For instance, the Single Cutaway Fly Mojo may have been a wonderful guitar, but the Les Paul influence is obvious. This was a single cutaway guitar with twin Seymour Duncan humbucking pickups. The body and neck were made of mahogany and were joined by using Ken Parker’s multi-finger neck joint. 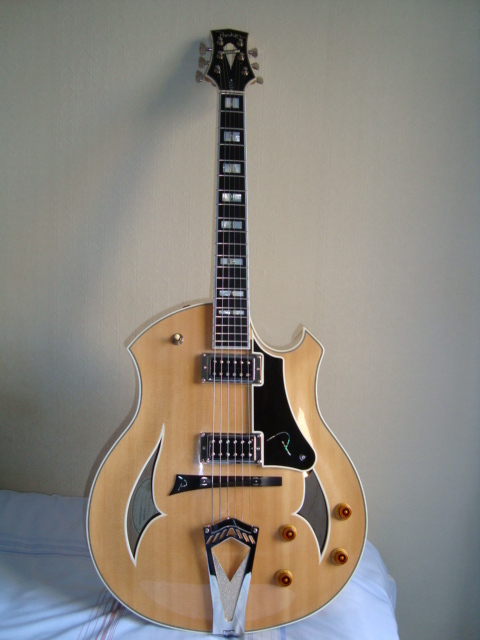 This guitar featured a tune-o-matic style bridge and a stop tail piece. The neck was topped with an ebony fretboard that had no position markers and the unique Parker 6 on-a-side headstock. Tuners were still made by Sperzel. The Fly Mojo Flame did have the body shape of a Parker Fly guitar. The literature suggests it was made of mahogany with a “unique AAA flame maple skin over a solid mahogany body allowing the sound of mahogany to fully resonate through.” I cannot determine if this means the body had a maple veneer or a maple photo-flame finish. This guitar came with a mahogany neck topped with the Parker headstock and included one Duncan Jazz and one Duncan JB humbucking pickup. Once again the fretboard was ebony with no position markers. The Fly Mojo Flame also had the Parker Fly vibrato, sans the adjustment wheel. U.S. Music eliminated the vibrato adjustment wheel on all models that they produced. The Fly Mojo was similar in all aspects of the previous guitar, but the body was made of natural unstained mahogany. 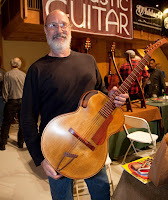 U.S. Music continued to build The Parker Fly guitar, but changes were made from the original design to correspond with their vision of this instrument. The body was now made of mahogany with a basswood neck. The Fly Classic weighed in at 5 pounds and had the features of the original Fly, except for the choice of body wood and composite finish. 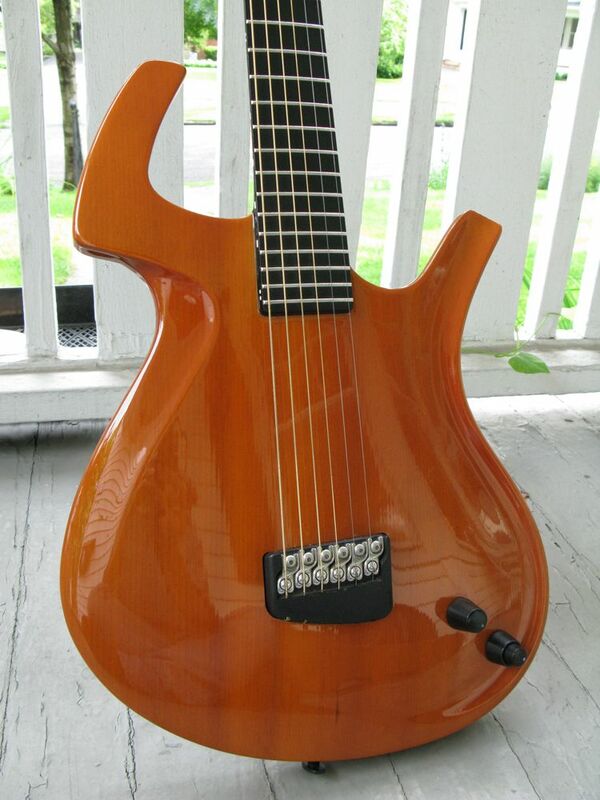 The U.S. Music Parker Fly came with two Seymour Duncan humbucking pickups and included the Parker vibrato. 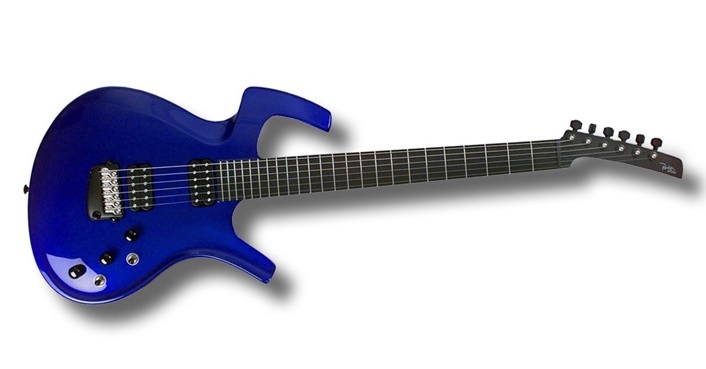 The guitar was available with three colour options. The Fly Deluxe was a similar instrument that apparently was voiced differently than the original. It came in different six different colour schemes. The Parker Nitefly Series included two guitars with features in the same shape as the original Parker Fly model. However these both had solid mahogany bodies and bolt on mahogany necks. The NiteFly Mojo Flame guitar had the same style neck, with a plain ebony fretboard, topped with the Parker style headstock. The thing that stood out on this guitar was the two humbucking pickups that were topped with chrome covers. One pickup was a Seymour Duncan Jazz pickup and the other was a Seymour Duncan JB pickup. This guitar featured the Parker vibrato. The mahogany body came with what the literature called, “a flame with a traditional AAA flame maple top over the solid mahogany body.”This guitar was offered in cherry sunburst or transparent blue-burst. 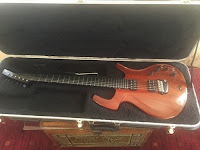 The NiteFly Mojo guitar had the same accouterments however the pickups lacked the chrome covers and there was not a flame veneer topping the mahogany body. It was bare wood and available in a natural finish, a transparent cherry finish, or a dusky black finish. The Parker Southern NiteFly was Parker’s answer to the Fender Telecaster. The body on this guitar was made of swamp ash and the bolt on neck was maple. The guitar even had black plastic pickguard. The neck pickup was a single coil with a chrome cover that could have been right off of a Tele. The Powerbridge™, looked like the rectangular chrome plate on a Telecaster. It contained a second single coil, slanted pickup and the adjustable bridge saddles contained the Fishman™ piezo elements. There was no vibrato on this model. What set this apart from a Telecaster was the Parker Fly body, and the Parker headstock. The chrome control plate featured a third knob for the piezo volume. Above it was a second toggle switch to activate the piezo pickup. It was available with blonde, butterscotch, or transparent red finish options. There were other variants that U.S. Music came up with for their Parker guitars. The Parker Nite Fly was one of the models designed by Ken Parker in the late 1990’s. The U.S. Music version of this guitar, called the NiteFly M, had a solid mahogany body and was topped with two humbucking pickups. The bolt-on neck was also made of mahogany. This instrument was offered with a natural oil and wax finish or a similar finish in black. It had the Parker vibrato. The Nite Fly Alder was Parker’s version of the Fender Stratocaster. 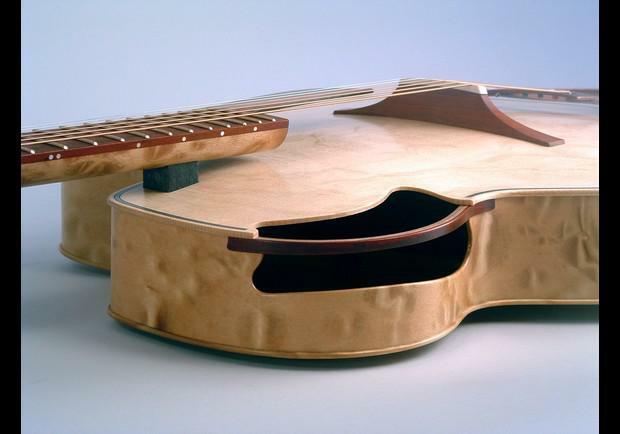 This time the body was, of course, made of alder wood, while the neck was maple topped with an ebony fretboard. The pickup layout was similar to that on a strat, but the bridge pickup was a Seymour Duncan humbucking model. The controls were the same as those on a Stratocaster; a master volume, and two tone controls. It too came with the Parker vibrato. It was offered in cream white, Indigo blue,and cherry red. The NiteFly SA was based on the original Parker model. It had the typical Parker shape, but was topped with a white plastic pickguard that contained the electronics, including two single coil pickups and a humbucking pickup in the bridge position. A slider switch acted as a pickup selector. The guitars body was made of swamp ash and the neck was maple. 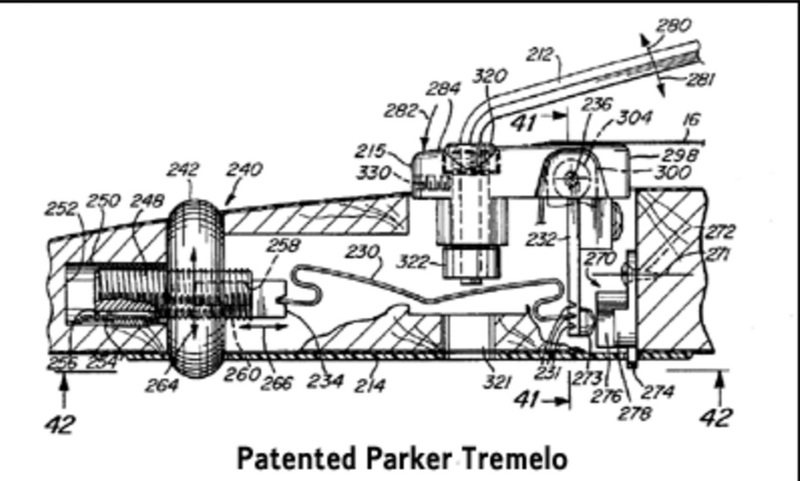 It came complete with the Parker vibrato and was available in transparent red or blue. The Parker PM Series and P Series were similar to all of the previous versions, but are noted by the company as having significant upgrades. U.S. Music Parker guitars included in its line up a series four solid body Parker Fly basses, in addition to their hollow-body PAB 40. The PB61SP featured neck-thru construction of a spalted maple top and mahogany neck with an ebony fretboard and a spalted maple headstock veneer. The tuners and adjustable bridge/saddle were gold-plated. The body was in the Parker Fly Bass shape. This bass, like all Parker basses, featured twin EMG 35CS active bass pickups. 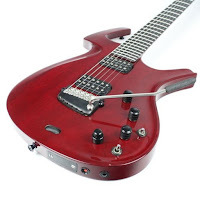 The PB51TR (Transparent Red) was very similar, except the body and neck were made of mahogany and it was finished in transparent red. The tuners and adjustable tailpiece were in a black gun metal finish. The PB41 series offered the same great features, such as EMG pickups, however the body was made of Sitka spruce with a Urethan finish, and the bolt-on the neck was maple. It was available in Silverburst, Black Matte, and Gold Matte. The hardware was also done in a black finish. These basses were available in four or five string models. 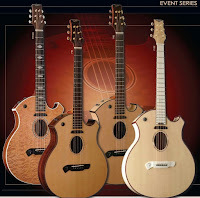 In 2006 the company added a line of acoustic-electric and jazz guitars under the Parker brand name. These were manufactured off-shore by Washburn guitars. At that time U.S, Music owned the US distribution rights to the Washburn brand as well. These acoustic models included the 24 fret Bronze Fly, which was a solid body guitar in the shape of the Parker Fly. It had no magnetic pickup, only a Fishman piezo pickup in the Parker style bridge, however there was no vibrato. 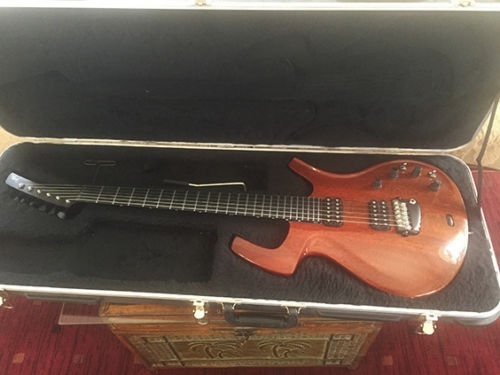 Ken Parker had offered this guitar when he owned the company under the name The Fly Concert. The Nylon Fly was a similar guitar. This model came with the Fishman piezo placed under a handcrafted ebony bridge. Both models were topped with gold-plated Sperzel locking tuner. During the years Ken owned the company this guitar was called The Spanish Fly. 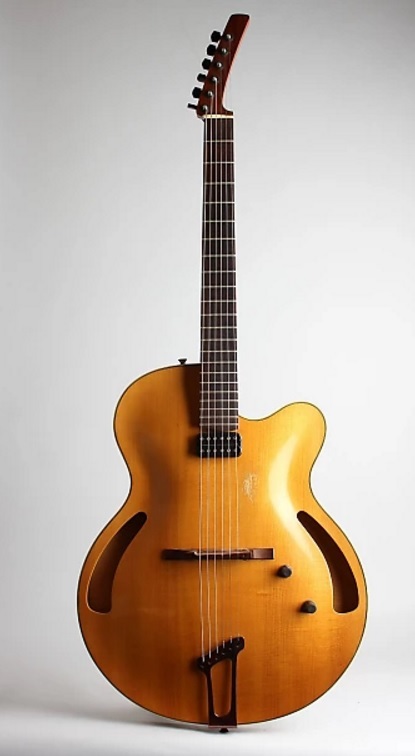 The PJ14N and PJ12 SB were true archtop hollow-body guitars. Both of these guitars had the most unusual body designs as well as unique f-holes. 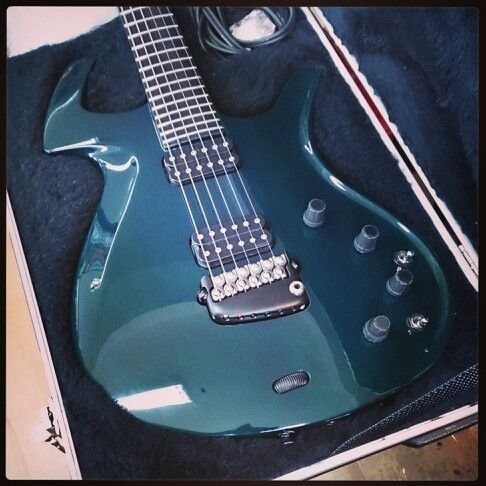 The body of the PJ14N was made of natural spruce and the guitar featured a single Egnater floating Humbucker pickup with pickguard mounted controls and a 5-ply Rock Maple neck with Gold Grover Titan Tuners. The inlaid trapeze tailpiece appears to be made of ebony and the headstock was highly inlaid. This jazz box had only one sound hole. The bound ebony fretboard was inlaid with mother-of-pearl block fret markers. This guitar came with a 3-on-a-side headstock and it was simply awesome! The PJ12 SB (sunburst) featured two Egnater Humbucker pickups mounted on the guitars body with individual volume and tone controls, a stunning brass tailpiece, and a 5-ply Rock Maple neck with Gold Grover Titan Tuners. This guitar featured a bound ebony fretboard with block position markers. The 3-on-a-side headstock had a large split-diamond inlay and above it the Parker logo all in mother-of-pearl. The PJ12 was the same guitar with a natural finish. Another development in 2006 was the introduction of a line of acoustic-electric guitars under the Parker brand. 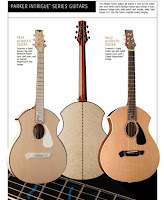 These models all had ovular sound holes. 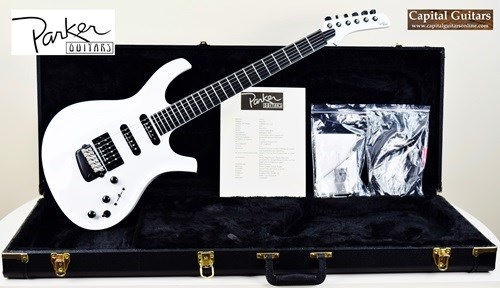 The guitars were actually made by the Washburn guitar company under the Parker logo and were given the designation of Parker Event Series guitars. These included three wide bodied models and five thinner body instruments. All had the same unique Parker body shape as the Jazz series. 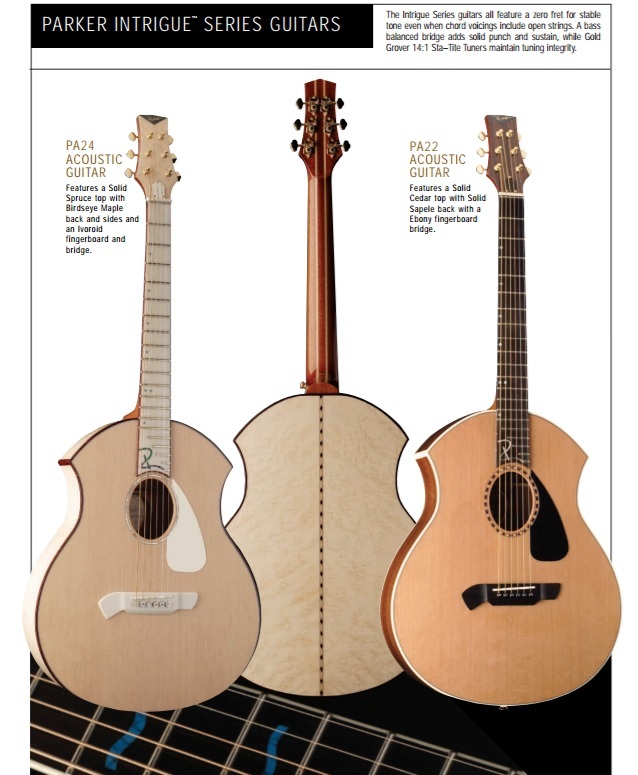 The line up included three non-electric acoustic models. 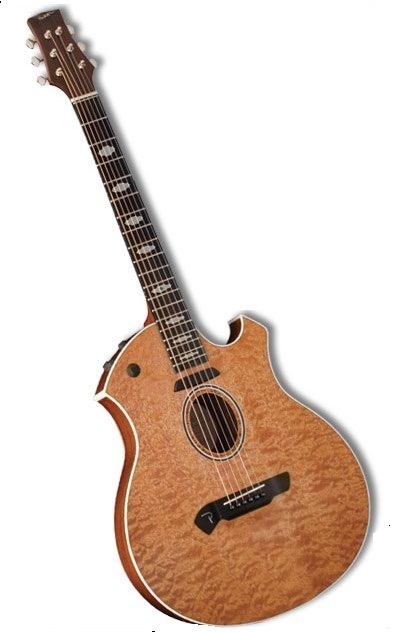 The P8E guitar was designed with a solid cedar top, with a flamed maple back and sides. 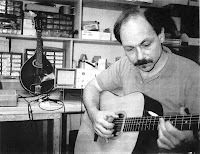 The unbound fretboard was made of ebony and had small dot inlaid position markers on the boards bass side The electronics were designed by Larry Fishman and included a piezo unit in the bridge and a Fishman magnetic pickup just under the neck. The master volume control is on the guitars top and on the upper side bout are the controls for treble, bass, and pickup balance. The P9E was very similar, except for the choice of wood. For this guitar, the top was solid cedar, but the back and sides were made of Indian rosewood The neck was made of mahogany. The P10E came with all the features of the P9E, however the neck had an ivoroid fretboard with dark dot position markers. The bridge was made of this same material. 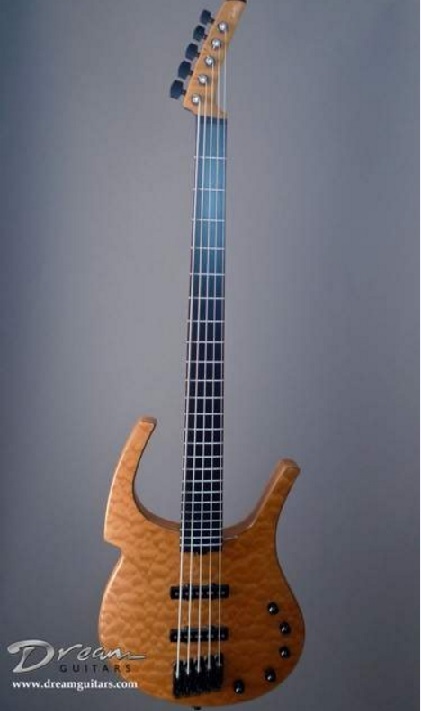 The Parker P6E models featured a thinner body than the aforementioned instruments. This guitar was available in various styles. This guitar had a solid Sitka spruce top with single ply binding. The accouterments were similar to th aforementioned mode, with biggest difference being the depth of the body. The other difference was the necks which were made of 5-ply mahogany and maple. The body on the P6E models were made with mahogany back and sides. Once again the fretboard Is made of ebony with microdot inlays, The electronics were designed by Larry Fisher. 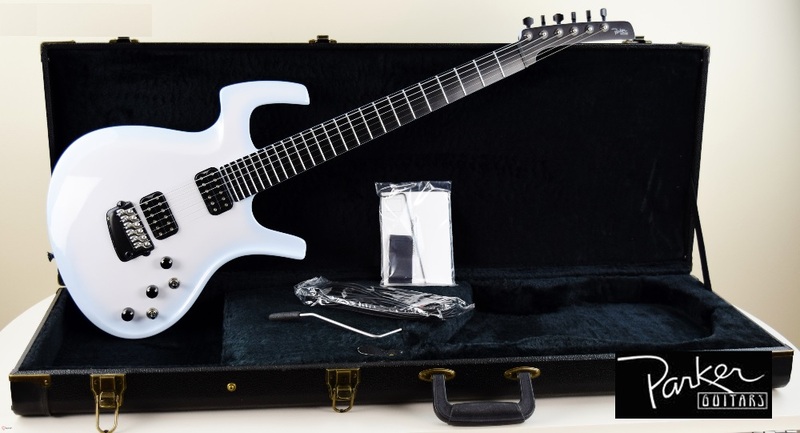 These guitars were available in white, black, and transparent red. The P7EQS had the same accouterments, but had a fancy quilted sapele top. 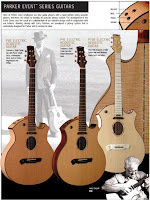 The Parker Intrigue Series, were acoustic guitar, with no electronic features. The unique body shape on these instruments was much different as there is no cutaway section. 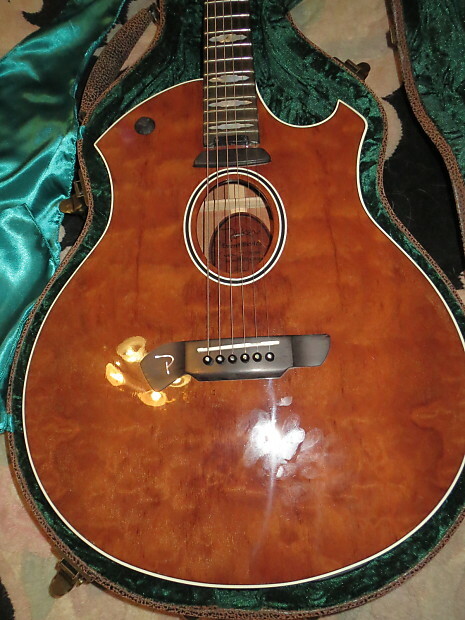 The PA28 came with a solid cedar top and solid Indian rosewood back and sides. The neck was 5 ply mahogany/maple topped with gold-plated Grover Stay-Tite open back tuners. These instrument had a zero fret to help with intonation. 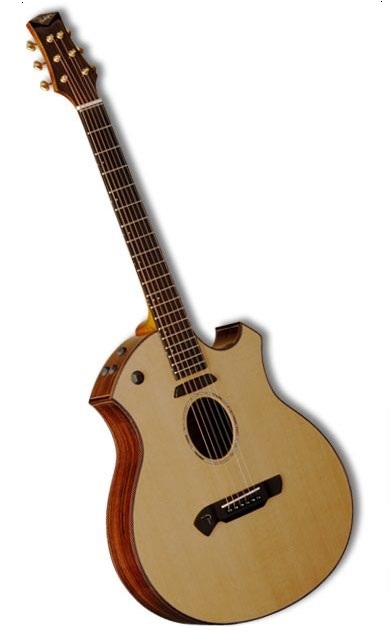 Also it 2006 Parker also came out with a unique acoustic bass guitar to match up with their Event Series guitars. 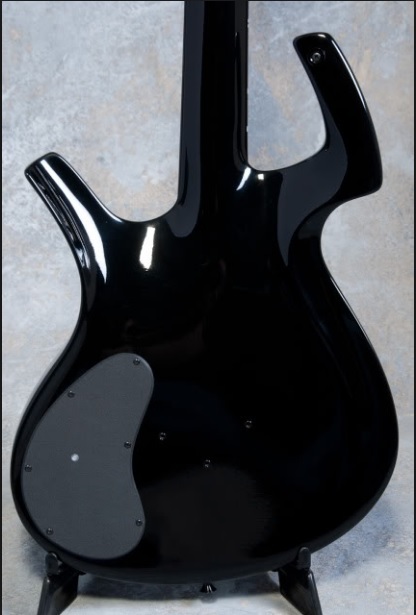 The PAB 40 bass guitar featured the same shape as the Event Series guitars. It included nine feedback suppressing slots routed into the bodies upper bout. 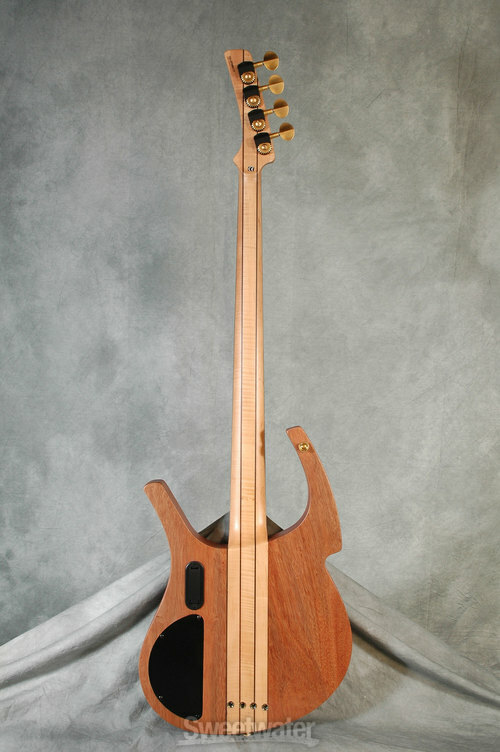 The piezo and electronics were the customized Fishman Matrix Bass system and installed on the upper side. The bound body was made of American black walnut and included a thumb rest. The ebony fretboard had only dot inlays at the 12th fret. The 2 on a side headstock was topped with gold-plated tuners. The pin bridge was uniquely designed of ebony wood. In 2009, the brand was acquired by JAM Industries of Montreal, Quebec, Canada. Production remained in Illinois. 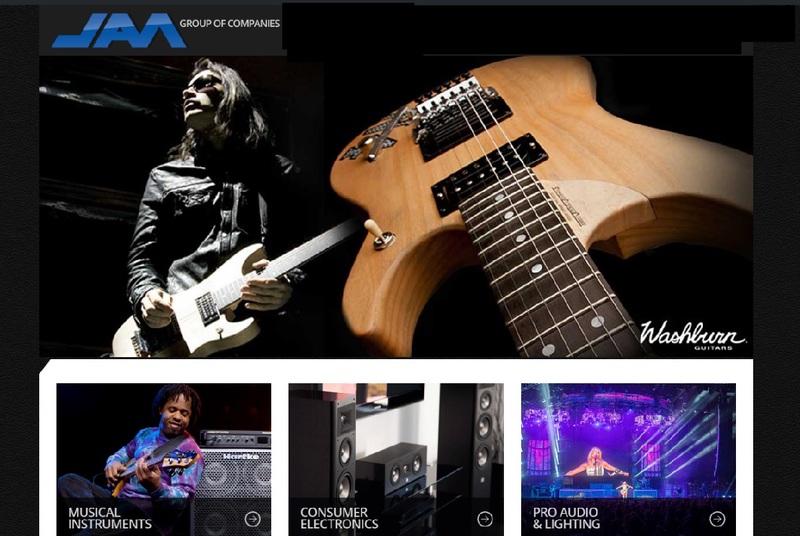 JAM is a multi-national distributor of musical instruments, pro audio and lighting and consumer electronic. This company has acquired many smaller distribution companies and owns the distribution rights to quite a few well know brands including Digitech, Washburn, Marshall, Hagstrom, Randall, Oscar Schmidt, and Korg. In 2010 the MaxxFly model was introduced. This model was based on the Fly guitar, but featured a refined headstock which allowed it to be hung on a wall guitar hanger. The top horn was reshaped to be more traditional and ergonomic. 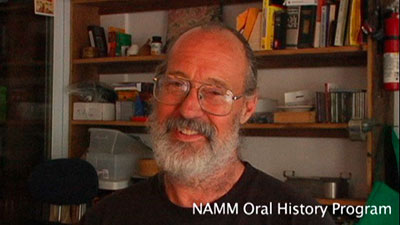 Standardized pickup cavities were set up to aid in manufacturing. The frets were reduced from 24 to 22, and the body became slightly thicker and heavier. In 2015 the JAM Corporation announced that Parker's US production had ceased and a search for a new off-shore facility was underway. 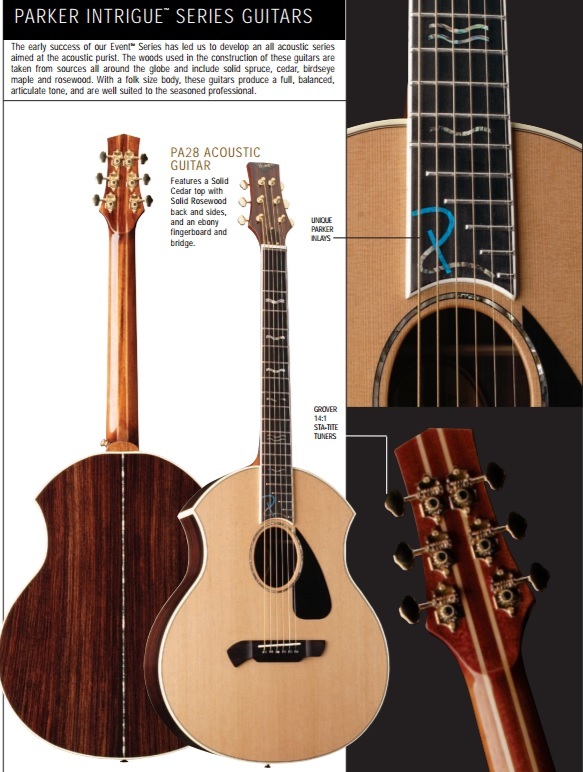 Parker did create several special edition models after the 2015 announcement including the Fly Mojo Snakeskin model, the Koa Fly Mojo model, and the Four Season Fly Mojo guitar, which was offered in differing finishes corresponding to the seasons. The Parker Fly brand was being manufactured until November of 2016 when the factory in Buffalo Grove, Illinois was shut down. 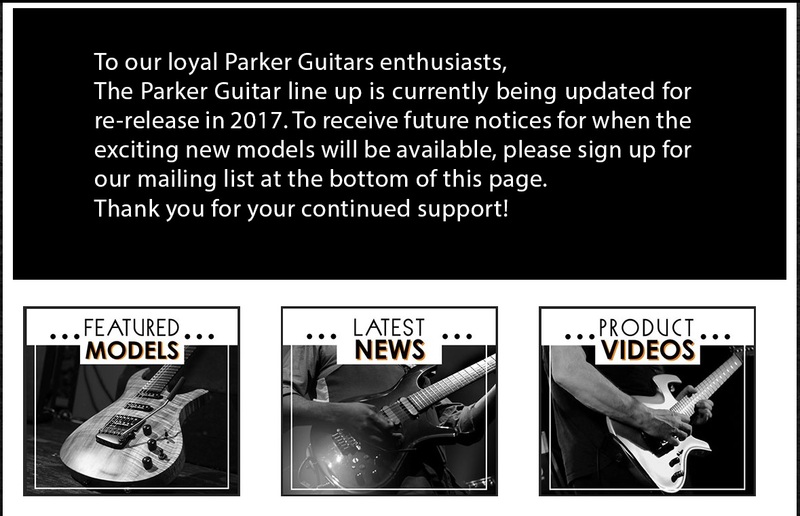 The U.S. Music website states, “The Parker Guitar line-up is currently being updated for re-release in 2017. So what is Ken Parker doing these days? 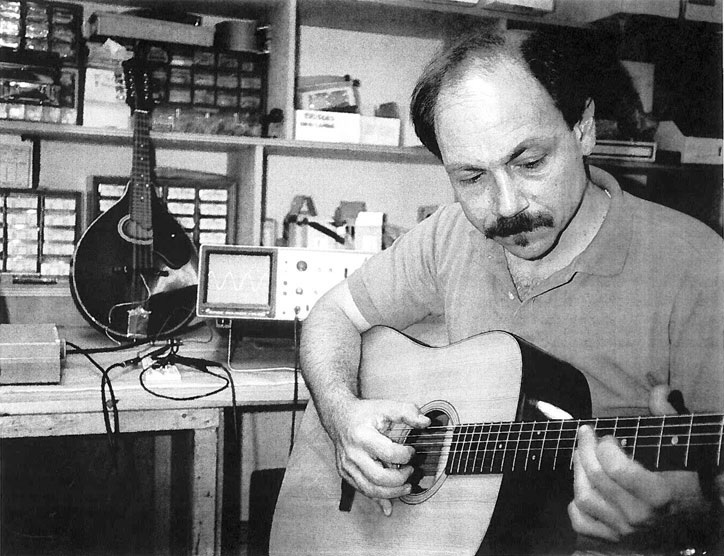 He has returned to his first love, which is building archtop guitars. He started doing this in the 1970’s, long before he became preoccupied with the Parker Fly guitar. During these years he was able to strike up a friendship and get advice from Jimmy D’Aquisto. 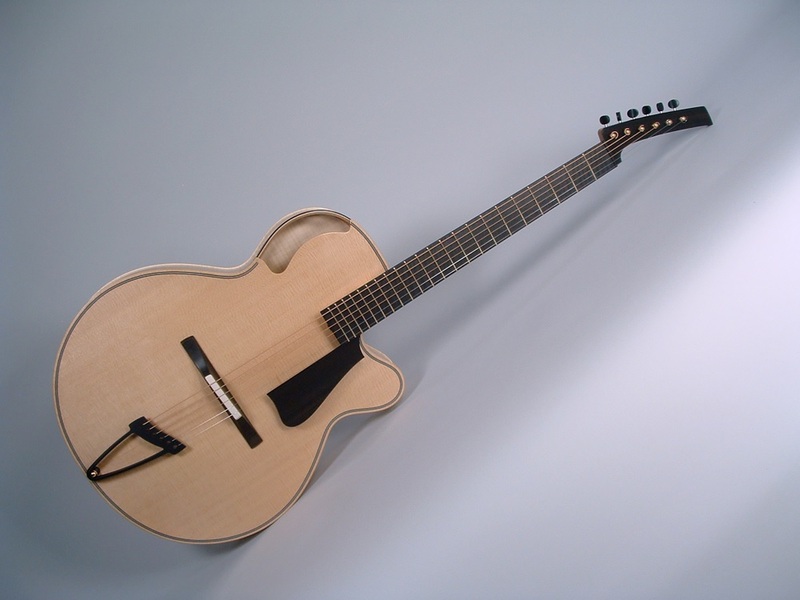 Ken says on his webpage that he has been busy creating and selling his own archtop guitars. And these are very unique instruments, like no other guitars on the market. Each guitar is handmade and though they share the same outline, each is a one-of-a-kind piece. Ken has experimented with different woods that exhibit different tonal variations. 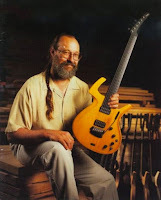 After selling his stake in Parker Fly Guitars in 2003, Ken began experimenting with the archtop guitar neck attachment. 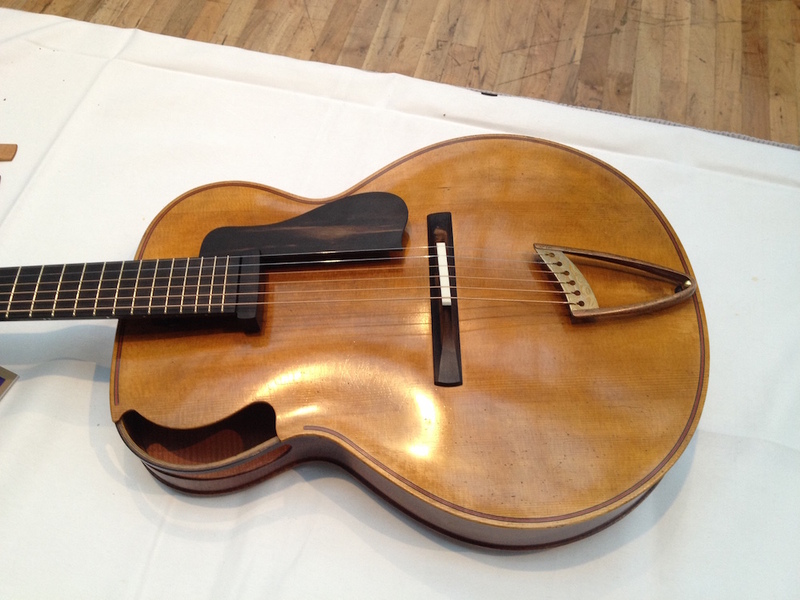 He felt that one of the pitfalls of the archtop acoustic was the bridge. 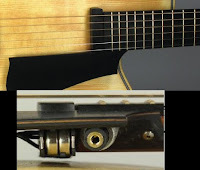 On most models this involves a bridge with a saddle that is adjusted by means of some knurled knobs to raise and lower the action of the strings. He feels the bridge is such an important element in transferring the string vibrations to the guitars body and the standard method needed to be improved upon. The bridges on his instruments need no adjusting. To solve this, Ken has created a unique adjustable and removable neck. The neck sets above the guitars body on a post made of carbon fiber. This allows the player to not only adjust the neck, but to play in upper registers without being impeded by the instruments body or neck heel, as there is no neck heel. Another advantage to the removable neck is that the instrument can be dismantled and placed in travel size containers for safe travel on airlines. Parker can even build an instrument available with a variety of differing necks for the same body, such as a 25.5” scale or a 30” baritone scale, even six or seven string necks that would fit the same body. Parker’s fretboard design involves an altered conical parabolic curve that is based on the players preference for string gauge and action. 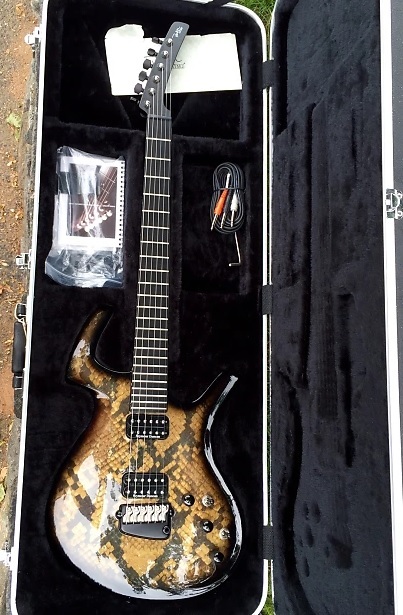 He suggests using 12 gauge string sets for his instrument, preferably made of phosphor bronze material, since he uses Fishman Rare Earth SA220 humbucking pickups on his instruments. These pickups attach to the pickguard and are snug up against the distal end of the neck. All the wiring is concealed under the pickguard, including the 1/8” output jack. He prefers these pickups to piezo versions as he feels they deliver a more realistic sound. The headstock on Parker's archtop guitars is similar to the minimalist six-on-a-side type that he used on the Fly guitars. He has chosen Gotoh Stealth tuners to top his instruments. These are the smallest tuners on the market. He covers the back of the tuners with a plate so the machines are not visible. 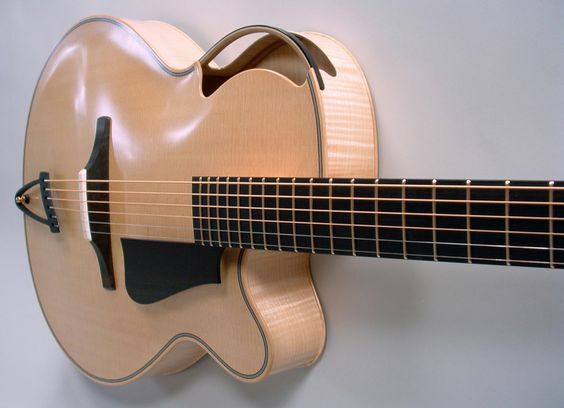 Ken Parker archtop guitars have a base price of $30,000. Click on the links under the pictures for the sources. Click on the links in the text for further information. This article is full of misinformation that even the most amateur of Parker guitar fans will spot; DO NOT use this as a source for info on Parkers! Amazing information on acoustic guitars. Thanks for sharing this informative article.